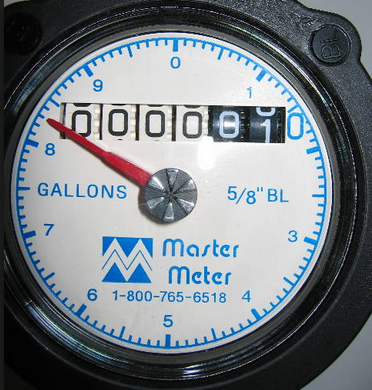 The meters are read the third full week of each month via a radio-read drive-by system. A billing period can run from 28 to 35 days in length. Bill cards are placed in the mail to arrive to you by the first of the following month. Payment is due on the first and past due after the tenth of the month. The first business day after the tenth, all payments received in the drop box before 8:00 a.m. and in that day's mail is considered timely paid. All unpaid accounts are charged a 15% late penalty. A Past Due reminder postcard is mailed to unpaid accounts. The card will inform you of the Delinquent Disconnect date (usually after the 22nd of the month). On disconnect day, all unpaid accounts as of 8:00 a.m. are charged a $35.00 delinquency fee, and then the meter is locked until the account balance is paid in full. We cannot control the delivery of the mail. Non-receipt of a printed bill does not eliminate the late charges. If you do not receive your bill by the third of the month, you should contact the office or go online for the amount due.